www.findachurch.co.uk – Find a Church in the local area. www.achurchnearyou.com – Find a Church in the local area. www.christianweb.org.uk – Lists Links to other Christian websites. www.ChristianFlatShare.org (CFS) is a non-profit organisation dedicated to finding homes, growing churches and building communities. CFS gives all profits to charity. www.rejesus.co.uk – Information about the man Jesus. 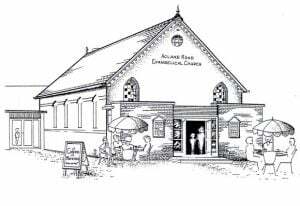 www.dorchesteranglican.info – The Dorchester Anglican Parish Website. www.ctdorset.org.uk – Churches Together in Dorset. www.dorchesterbc.org.uk – Dorchester Baptist Church. www.dfc.org.uk – Dorchester Family Church. www.moorlands.ac.uk – Moorlands Bible College, Dorset. Moorlands Bible College, Sopley, Christchurch, Dorset, the interdenominational Christian Training Centre where our Pastor trained from 1990 to 1993.
www.testwoodbaptist.org – Testwood Baptist Church, Southampton, where our Pastor was previously in ministry. www.youthandfamiliesmatter.org.uk – YFM website. The community project Roger set up in Totton. www.manorpark.dorset.sch.uk – Manor Park First School. www.dorchestermid.dorset.sch.uk – Dorchester middle school. www.stosmunds.dorset.sch.uk – St Osmunds CE/VA middle school. www.thomas-hardye.dorset.sch.uk – Thomas Hardye Secondary school. www.westdorset.com – The Tourist information board. www.bbc.co.uk/dorset – BBC website for Dorset. www.jurassiccoast.com – Jurassic Coastline of Dorset and East Devon.